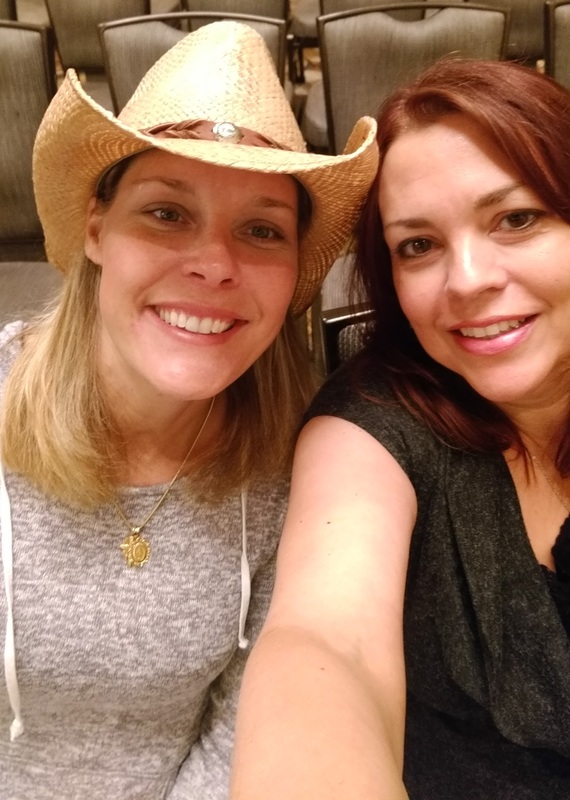 Two weeks ago I attended the 2015 RT Booklovers Convention in Dallas, Texas, with my fellow book-loving cousin and aspiring author, Kim. Neither one of us had attended an event like this before, so part of the fun was not having any expectations of what it would be like. In fact, the only thing we really knew was to bring along an extra suitcase for all the books we’d be bringing home. 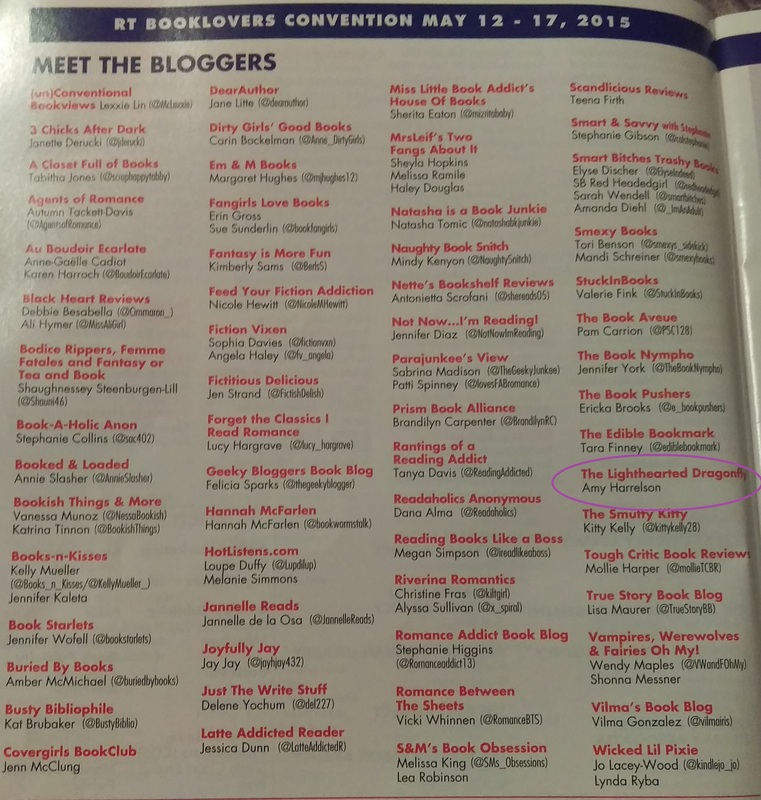 I registered for the conference as a blogger, although I think the types of blogs they had in mind for that type of attendee were those that specialized in book reviews. Rookie mistake. The “RT” stands for Romantic Times, so primarily the authors and books featured were romance writers, but there were several Young Adult authors there as well. In fact, many YA authors have romance books out there—sometimes they use a different pen name to distinguish their works between those marketed for adults. 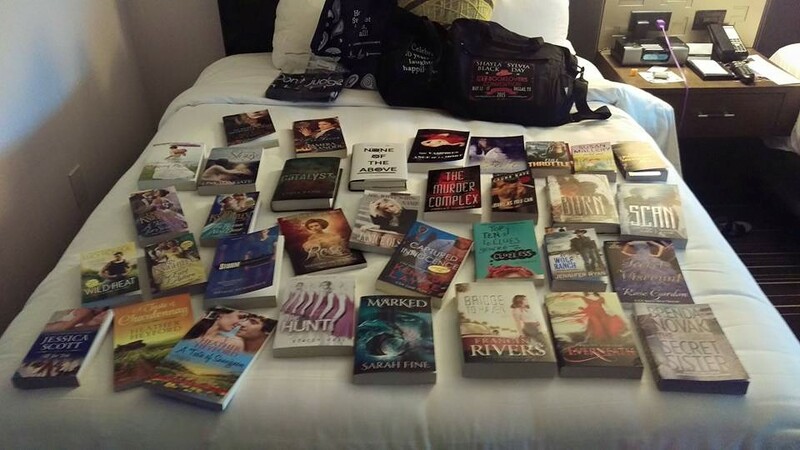 Before attending this conference, I hadn’t realized how many subgenres fall within the romance novel umbrella, and they were all represented—from Inspirational to Erotica and everything you can imagine in between. From the time we arrived in Dallas, it felt like events fell into place in our favor. Our flight arrived earlier than what we’d planned, and we got to the convention in time to attend the RT Convention newbie workshop, where we learned some tips to best negotiate the conference. Being the book nerd that I am, these authors are my rock stars; it was great to be told to be sure to seek out and talk to my favorite authors. I grew up loving to read, and when I hit my teens, romance novels, especially anything that was historical romance geared towards teens, were my favorite. There was a book series in the 80’s called Sunfire that I absolutely devoured as a teen. All of the books featured a young heroine growing up in various historical times in American history like the Civil War, western pioneers, or the American Revolution. Think the American Girl doll books of today with the girls growing from young teens to young women, trying to decide between suitors that represented opposite ways of life for the time period. Only a few months ago I found a couple of my books from this series at my parents’ house and ordered a few more from Amazon. I started re-reading them and I still think they are great reads. When I got older, I enjoyed other types of romance books, but historical romance holds a special place in this reader’s heart. Our goal was to attend the workshop sessions geared towards writing—and there were plenty to choose from. Two of my favorite sessions about writing were “Oops, Your Research is Showing!” and “All Things Old Are New Again”. 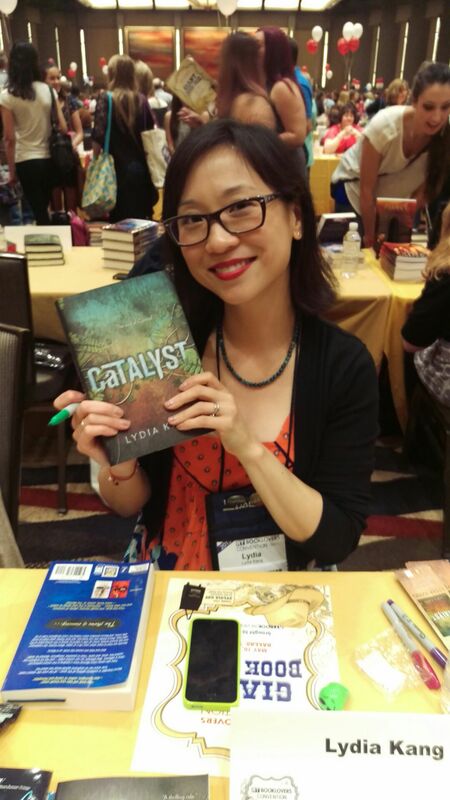 The first one, which ended up having one of Emily’s favorite YA authors, Lydia Kang, on the panel, gave great information about ways to go about researching topics for your writing. Everyone on the panel shared how their books’ storylines had aspects that required they find out specific information to ensure their novels felt authentic, without bogging down the reader with too much information. In “All Things Old Are New Again”, the panel of authors discussed ways they continue to come up with new ideas book after book. At this session I met Erin Knightley, who is one of my new favorite authors. In part because she really is a gracious person who was generous with her time in talking to Kim and I, but also her books are historical romance. In addition to the workshop sessions, there were several publisher sponsored events with opportunities to meet the authors and get free copies of their books. These events were heavily attended, so there were a lot of lines to wait in and it could get a little overwhelming, but these events were a lot of fun. Not that I enjoy waiting in lines, but for the most part I found interesting people to talk to in line with me. Most of the time I would just wait in a line, not even knowing what book or author was on the end of it. In doing so, I was introduced to various books and authors I would not have otherwise found, and I loved it. One of the authors I met this way was I.G. Gregorio. Her YA book, None of the Above, would have never been on my radar. In reading the premise of the book, which is about a teenage girl who learns rather traumatically as a senior in high school that she is intersex (meaning she was born with both male and female parts), it seemed like an interesting premise that I had never really thought about before. I didn’t want to pass it on to any of my favorite YA readers without screening it first, so I started reading it that night and I couldn’t put it down. I finished it by the next morning. Later, at the giant Book Fair held the last full day of the convention, I sought her out to let her know how much I enjoyed the book, which she seemed to honestly appreciate. The Book Fair, included as part of the convention, is open to the public and draws an amazing number of book lovers. The authors are arranged by genre in alphabetical order at huge tables. Kim and I made it a point to meet up with authors we had met during the convention to get signed copies of their latest books. I had a list of YA authors that Emily had asked me to look for, and I scored some big time Mom points getting her books that were signed personally to her. After the Book Fair, we went up to our room to try to figure out how, even with the extra suitcases, we were going to get all these books home without going over the weight limit for our bags. It wasn’t easy! This conference rekindled my love of reading as well as reminded me of how much I enjoy the writing process. I learned so much in the various sessions about the writing and publishing world, met some great people, and was introduced to several new authors that I’m sure will become favorites. Now if only I can find the time to get to all those books! Here are the books I brought home with me, many of them signed by the author.